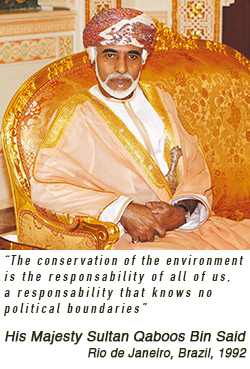 This prestigious Prize has been made possible through a generous donation to UNESCO by His Majesty Sultan Qaboos Bin Said Al-Said of Oman. The prize is intended to honor individuals, groups of individuals, institutions or organizations that have made significant contributions to environmental conservation. It will be awarded for the 15th time at the ceremony that will take place during the World Science Forum in Budapest (Hungary), from 20 to 23 November 2019. Presented every two years, the prize consists of a certificate and a financial award from a donation graciously made by His Majesty Sultan Qaboos Bin Said of Oman and the Government of Oman, which in 2019 has been increased to $100,000. Thе prize-winner is selected based on the recommendations made by the Jury of the prize.